Used 1991 Porsche 911 Sold in Johnstown OH 43031 Denny Dotson Automotive Inc. Attention Collectors and Enthusiasts alike. 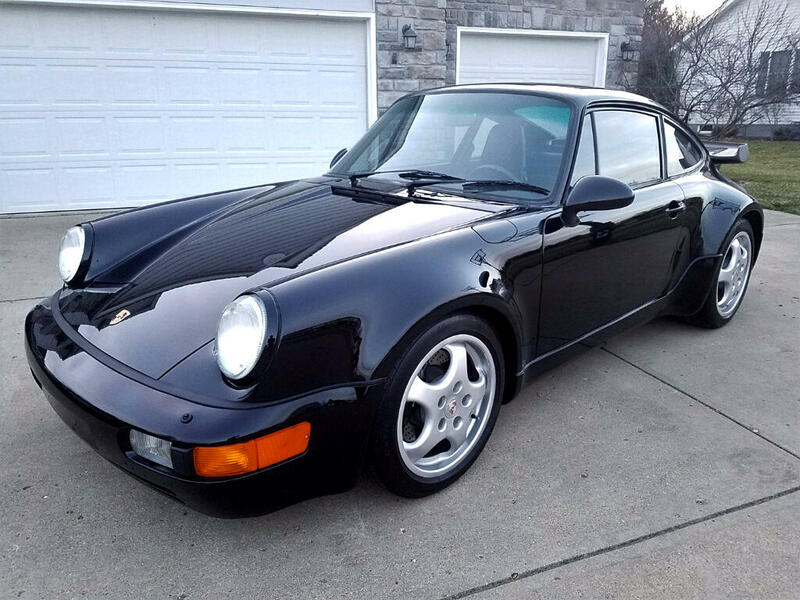 A rare opportunity is presenting its self in the form of a 1991 Porsche 911 Turbo with only 19K miles from new. It is a two owner car. The previous owner has had it since 1999. Stored inside a climate controlled facility. We acquired the car from a local Doctor along with a few others. All were top notch collectables stored and cared for properly. The Turbo in front of you has been recently serviced and has a set of brand new Continental Extreme Contact tires. Finished in a desirable black on black combination. The car has no issues. Does not leak whatsoever. Has all new belts and fluids. The paint, interior, and wheels are near showroom condition. It is free of accidents or damage of any kind. Has to be one of the nicest anywhere. A great addition to any collection or just as a one car investment to enjoy for years to come. This is a huge opportunity to own an Iconic Limited Edition Porsche 964 Turbo. Message: Thought you might be interested in this 1991 Porsche 911.